No papers? No problem! Okay, not saying it’s easy, but YES you can go to college, and even earn a PhD if you really set your mind to it. Take it from me, a 2016 college graduate who grew up undocumented, on the south side of Milwaukee, and with very little resources. Although I cannot speak for all undocumented students and their journeys through college, I can share tips, tools, and other things that allowed me to pursue higher education. PLEASE READ EVERYTHING. The administration will not accept new applications after September 5th. Anyone who has DACA expiring between now and March 5th, 2018, can apply for their last two-year renewal. This must be submitted by October 5th, 2017. No one’s DACA status will be revoked before it expires. Advance Parole is no longer available, if you have a pending application, USCIS will reimburse you. 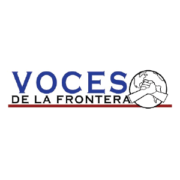 Although DACA recipients will not be targeted after their DACA expires, know that under Trump’s enforcement priorities they are at risk for deportation should they have an encounter with ICE. 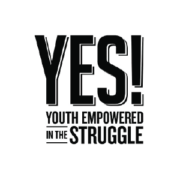 Organize and join “Youth Empowered in the Struggle” (YES), our student arm. Undocumented and unafraid, you are not alone! I cannot stress enough the importance of earning good grades. Academic scholarships are often, if not always, the biggest scholarships in terms of $. Private colleges award different types of scholarships based on your GPA and ACT score. No one is a fan of the ACT or SAT test, but unfortunately your score matters, and it can determine whether you’re accepted into a college and granted more $. So, study and take prep classes as much as possible. There isn’t a single scholarship application that I filled out without having to list and talk about the volunteer work I’ve done in my community. Good grades are NOT everything. 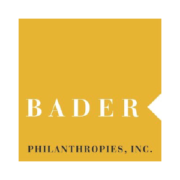 Foundations and wealthy individuals also want to give money to students who are contributing to society. Soccer? Cheerleading? Debate team? Join it! Students who keep themselves preoccupied are more likely to receive scholarships than students who just attend school. No, you don’t have to be good either. Simply join and do your best! For someone who claims to be I-N-D-E-P-E-N-D-E-N-T, I sure asked for a lot of help! Raise your hand when you don’t understand something in class. Stay after class or school until you understand that math problem or science theory. At the end of the day, that homework assignment, test, and college application will only have your name. Surround yourself with people who love you, support you, and are always willing to listen to you. Whether it’s coming from a partner, friend, parent, educator, or mentor, emotional support is crucial to your well-being. Stay away from people who discourage you or don’t believe in you. I once received a very generous scholarship that was awarded to 10 individuals in the entire city of Milwaukee. The application didn’t say how much money would be awarded or for how long, but I applied anyway because what did I have to lose? Apply for every and any scholarship that you come across, as long as neither citizenship nor legal permanent residence is required. Even the strongest people need self-care. Whether it’s fitness, music, or spending quality time with your loved ones, do things that make you happy. Also, sleep as much as you can! Take a nap here and there. Self explanatory. Neither a fight, nor plagiarism, nor skipping school is worth you missing out on your opportunity to go to college and get scholarships. Should you go to a technical, public, or private college? Should you take a year off and save money? Should you earn an associate’s degree and then transfer to a four year college? Those are choices you need to make. Do what’s best for you and think about the pros and cons of your decisions. Going to college is one thing. Graduating from college is a whole other thing. Keep working hard and keep searching for volunteer, internship, and scholarship opportunities. DACA was accomplished thanks to the Immigrant Youth Movement and it took a lot of work, sacrifice, and passion! Get involved with an organization and never stop fighting for the future that we want and deserve. Truth is, us undocumented and DACAmented folks have to work harder than our U.S. citizen peers because there are way less resources (especially financial) for us. However, college is not only for the 4.0 students, the star athletes, or the math geniuses. It’s for everyone who wants to be there and is willing to put in the work. I reiterate, ASK FOR HELP. There are thousands of individuals with powerful stories. Check out our “I went to college! Here’s how.” tab.